Finding a photo in your collection is always exciting, however, we don’t always know who is in the photo. 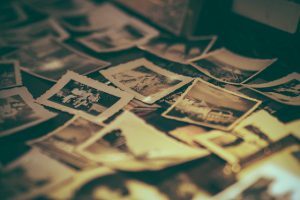 All of us would have photos in our collection that we are unable to identify. This can be very frustrating. If we are lucky enough our ancestors have written detailed information on the photo. However, more often than not there is nothing or simply a name such as Johnny. We look for clues but sometimes we are at a loss as to who is in the photo. However, all may not be lost. Sometimes there are other clues on these 19th Century Photographs that may help narrow down who is in the photo. If you are lucky you may find a photographer’s name or studio on the photo. From this information, you may be able to identify a rough timeframe the photo was taken. This can narrow down who the photo may include. So even with only Johnny written on the back, you may work out it is your great-great-uncle Johnny purely by dating the photograph. The invention of photography changed how people had portraits made of themselves. Instead of sitting for hours whilst a painter created your portrait, a quick trip to the photography studio provided a lasting memento. Many people were now able to get a picture of themselves without the large cost of sitting for a portrait. The more evolved photography became, the cheaper it became. This meant more people could afford to get a portrait photograph taken. 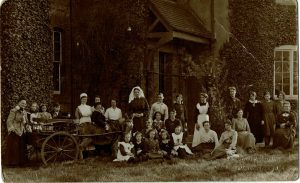 St. Catherine’s Convalescent Home, Penn, Wolverhampton, Staffordshire – Bennett Clark, Wolverhampton. If you have identified a studio on the photograph, start by putting the name into Google. Quite often the photo would also include a location to help narrow down where this photography studio is located. Enter the details into Google to see if you can find the photographer. Sometimes you will find information on the internet about the photographer, especially if they were prolific. At times you may be lucky enough to find your particular photo as I was in my post Who is in the photo? In this post I discuss how I went about identifying this photo, and whilst I still don’t know who specifically is in the photo, I was able to glean a lot of information out of a Google search. Photo London – this site hosted by the Museum of London has a vast collection of photos. You can search by the photographer’s name or just browse the collection. Photographers of Great Britain and Ireland 1840 to 1940 – this site has a listing of studios and photographers active in Great Britain and Ireland. There is also a list of “sitters”, people whose names are on the photos that this website holds. There is the option to purchase photos of people who could be your ancestors. 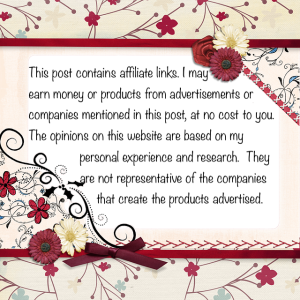 They also have a feature to help you date old photos or for a fee, they can date it for you. 19th Century Australian Photographers – this site has some biographies of Australian photographers with a list of other ones they will be researching in the future. Australian Photographs – The National Library of Australia has a great range of photos from the 19th Century to explore including the ability to search by photographer name. America 19th and 20th Century Photographers – Langdon’s list can be searched by photographer name or state. They also offer a photo dating service for a fee. These sites may be able to help you narrow down the year of the photo. With an approximate date, you may be able to identify who is in the photo. So check out the links above, do some Googling, and see if you can narrow down when your photo was taken. I would love to hear your stories of identifying people in photographs. Please comment below to let me know how you go with your photographs. What a great article! When my grandparents passed away, I found boxes with old cards, photos and letters. It was really exciting to see all of this old information and learn the stories behind. But there was one photo with no clue at all. So I was eager to find out anything and I was lucky enough to find the answers at a local archive as it turned out the man on the photo was a well-known local poet at those times and a good friend of my grandpa. Thank you for reading and taking the time to comment. It’s amazing and exciting when we manage to find out who it is in the photo! I love the thrill of the chase. Lovely way to find out about your grandad’s friends. I have a few very very old pictures, Im pretty sure they are from my great-great-grandparents, at least that’s what my grandpa told my dad, which then told me…but i really want to search for more details as there is a wide gap of missing relatives i would like to know more about. It is always wonderful to find old photos and even more exciting to work out who is in them. Please let me know if you ever confirm who are in your photos. Another great article, Megan. I have a photo that I have let several of my family members see to see who knows the people in the photo with my Great Grandmother. No such luck yet. You have given me some wonderful ideas to seek out this information. Thank you so much! I will definitely do some digging. Thank you for this information. I continue to be inspired with my family history as I read more and more about yours. Keep all this great information coming! I look forward to reading more from you. What do you plan on writing about next? I am so glad my site is inspiring you to find out more about your family. I would love to hear if you identify who is in your photo! I don’t have to many photos, especially old ones. My parents might have some old ones they can’t figure out. We haven’t looked through photos in years, but I can remember seeing some old ones. If I run into to some old ones I will look this site up. Thanks great article. It’s always worth digging out the old photos to have a look. Also, to scan them and create digital copies so that there is still a copy if anything were to happen to the original. Please have a look at the photos and let me know how you go with identifying them!